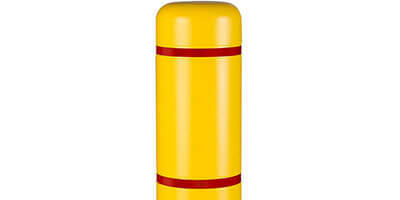 The 4" diameter bollard cover has 4.7" inside diameter (ID) and comes in lengths up to 72 inches long. It is ideal for bollard posts with a diameter up to 4.5". The 6" diameter bollard cover has 7.1" inside diameter (ID) and comes in lengths up to 72 inches long. It is ideal for bollard posts with a diameter up to 6.9". The 7" diameter bollard cover has 7.1" inside diameter (ID) and comes in lengths up to 72 inches long. It is ideal for bollard posts with a diameter up to 6.9". The 8" diameter bollard cover has 9.125" inside diameter (ID) and comes in lengths up to 72 inches long. It is ideal for bollard posts with a diameter up to 8.9". The 11" diameter bollard cover has 11.125" inside diameter (ID) and comes in lengths up to 60 inches long. 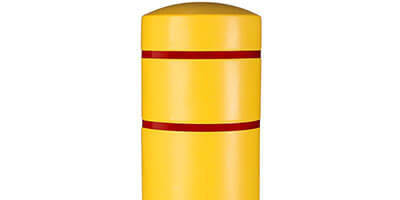 It is ideal for bollard posts with a diameter up to 10.9". The 13" diameter bollard cover has 13.125" inside diameter (ID) and comes in lengths up to 60 inches long. It is ideal for bollard posts with a diameter up to 12.9". Protective post sleeve for up to 7" diameter. Bollardgard Anywere is a portable bollard post. 40 foot roll for post & pole base guard.